The Galloway Glens Landscape Partnership Scheme is pleased to announce the start of their 2019 ‘Business Academy’ programme. This programme is supported by the Heritage Lottery Fund through the Galloway Glens scheme and by Business Gateway Dumfries and Galloway. It will consist of monthly training events for different sectors of local business. These free events will run throughout 2019 in the Glenkens, Castle Douglas and Kirkcudbright. The aim is to improve the sustainability of local businesses in the Galloway Glens area by providing technical training and networking sessions in order to pass on good practice, capitalise on our amazing local heritage and support business development. Future events will include ‘Growing your Creative Business’ in Kirkcudbright Galleries on the 29th February and a networking event for food producers and retailers in Castle Douglas on the 28th March. Into the rest of the year there will be sessions on Young Entrepreneurship, Health & Safety in Agriculture Businesses, Developing your Manufacturing Business and Supporting Social Enterprises. Contact Helen or see the Galloway Glens website www.gallowayglens.org for more details on these and more events. “The Business Academy is one of our most wide-reaching Galloway Glens projects and I am excited to see the first event happening so soon into 2019. It will be packed with technical information that will really benefit our local accommodation businesses, and, thanks to the Heritage Lottery Fund and Business Gateway, we are delighted to be able to offer this excellent event for free. The Galloway Glens area covers the rivers Ken and Dee from their source north of the Glenkens, down through Castle Douglas and on to Kirkcudbright. 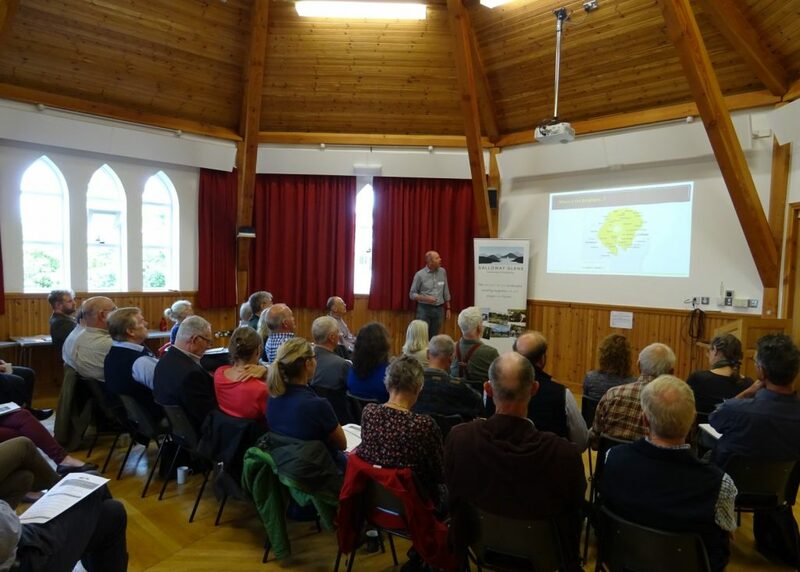 The Galloway Glens Scheme aims are to connect people with their natural, cultural and built heritage and to support sustainable rural communities. There are 35 projects within the Galloway Glens Scheme, which started in 2018 and will run until March 2023. More than half of the funding for the Galloway Glens Scheme comes from the Heritage Lottery fund, and the rest is provided by Dumfries and Galloway Council and other project partners. Galloway Glens Community Archaeology project ‘Can You Dig It’ begins. Creative Businesses – New ideas for getting your work to market.